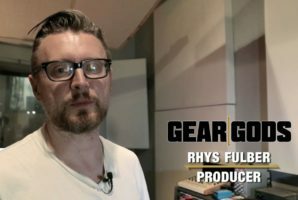 If you dive into the career of producer, Rhys Fulber, you may be pleasantly surprised to learn how invaluable he is to the world of metal, and everything that came from the 90’s and beyond. He’s been at the front of genre bending industrial music with metal for decades, both as an artist in the band Front Line Assembly, and behind the board for many great acts like Fear Factory, Youth Code, Paradise Lost and more, which you can find Rhys talking about in detail right here. In this exclusive clip, Rhys shows you exactly how he created the opening sounds to Fear Factory’s legendary album, Obsolete, and the Euro Rack gear he used to get there. It’s some really exciting stuff for any gear head or fan of Fear Factory alike!